Have you ever gone out of your way to get a girl’s attention and affection merely to be considered a “friend”? 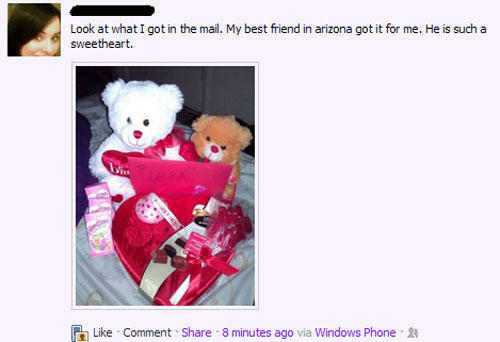 You’ve lost yourself in the Friend Zone. If you want a woman, hanging out in this zone without making any moves is not going to get you anywhere. If you are into someone, don’t be satisfied with being “just friends.” Do something about it. Here’s how to get out of the friend zone. Question: How Did You Get In the Friend Zone In the First Place? 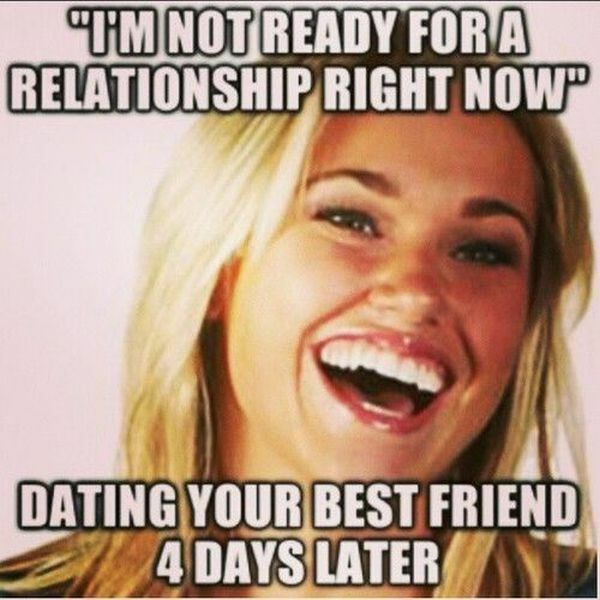 You might have gotten in the friend zone accidentally. You may have just started as friends, and then realized someone is really attractive and you dig her like crazy. But you’re “just friends” and you don’t know how to become more. You may have not gotten here on accident, but you might be staying here on purpose. A guy gets a woman in his sights and he decides to be her buddy to win her heart. Some guys’ blood temperature is so low and their hearts are so stale they don’t realize they’ve got a great woman in front of them until it’s too late. All of the sudden they realize they are jealous—their “friend” is telling them about guys she’s going out with, and Friend-Zoned Iceman realizes he wants to be the one taking her out. It may have happened inadvertently, but it doesn’t have to stay that way. A lot of people that hang out in the Friend Zone do so because they hope their obsession will learn to appreciate them and see how attractive and awesome they are. Let me tell you this: if you have to fight to “win” her heart and make her feel so good inside that she finally likes you, you probably don’t really want to have a relationship with this person. Getting them to like you because you relentlessly do nice things for them means they aren’t actually growing to love you–they’re growing to love how you make them feel. Holding out hope that their eyes will be opened to you through a long friendship isn’t the best investment of your time. In all likelihood, she’s attracted to something that you’re not–and that’s fine–it’s not wrong or bad. 4. She’s comfortable with your friendship. The woman in question just doesn’t see you “as more than a friend.” The question is, is it possible to change her perception of you? If you want a woman you’re obsessed with and can’t stop thinking about, then you’ve got to move on. If you’re thinking about her all the time you’re probably acting different around her. Trying to impress her, going out of your way to compliment her. Not being true to who you really are. Pretending to be someone else. There are some girls that like this level of pursuit, but I promise they’re not the best dating material (as soon as you run out of energy to be their insecurity medication things will go downhill fast). Stop being needy. Putting a woman you’re merely friends with on a pedestal comes off as needy. And you don’t want to be that guy. I guarantee you that she is turned off by that. She’ll never want to become more than friends with a needy boy. Women want a secure man. Acting insecure—acting so obsessed with her she doesn’t see that you find value inherent in yourself—is not attractive. A woman wants a man who doesn’t need them—but wants them anyway. Jerks often appear to fit this role, but actually are just jerks. Listen—nice guys don’t have to finish last. It’s not just the jerks that get the girl. Insecurity is what creates the Friend Zone. One insecure person tries to latch onto the other. And that insecurity drives them away. Think about it—have you ever dated a girl that needed your attention all the time? Did you feel smothered? Were you afraid to commit and continue being with this person? A relationally healthy woman feels no different. 1. Guy really wants a girlfriend. 2. He’s too afraid (insecure) to ask anyone out. 3. He rarely goes on dates and is not building his confidence. 4. Guy becomes friends with a beautiful girl. His eyes are opened, and he sees this as an opportunity. He hopes that sustained friendship with this woman will somehow “morph” into a relationship inadvertently. 6. She senses his insecurity, and he never makes a confident move to communicate his desire to pursue something more with her. He waits, and she starts feeling awkward. By the time he finally gets the guts to ask her out, she sees them as “just friends” and doesn’t want to date. If you’re stuck in this boat, is there an actual way out? 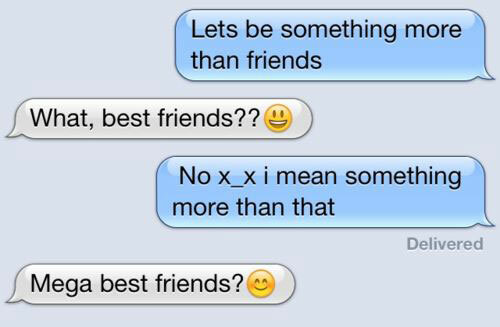 Does someone know how to get out of the friend zone? You must TAKE YOURSELF OUT OF THE FRIEND ZONE. And there are merely three options I would encourage any guy to pursue. I’ve read a number of other writers on the subject of how to get out of the friend zone. You can look them up. They’ll give you manipulative tricks to try to get a person’s attention, or act withdrawn and do little things to change their perception of you. I don’t encourage you to back off and pretend to be disinterested to win a woman. That’s not winsome at all. It’s a game, and men shouldn’t be in that game at all. Your absolute first and best option is to communicate what you want. Be forward and tell a woman how attractive she is and that she’s exactly the type of woman you want to date. And ask her out. If she says yes, then problem solved. If you get rejected, then you can move on. Let me say this: rejection is a freeing thing. Not a bad thing. Don’t be afraid or ashamed to get turned down. I promise, if you become confident and get turned by an admirable woman, you’ll still have my respect for it. If you get put in the Friend Zone…then here are the alternatives of how to get out of it. I don’t encourage this as a manipulation tactic. I encourage you, if you’re wondering how to get of the friend zone, to make yourself scarcer and less available. Don’t meet the lady in question’s “boyfriend” needs. Don’t buy her gifts and always be available to bail her out of trouble. Don’t always be ready and willing for her to vent to you. Expand your network. Find other friends. Go out with other women and talk about who you’re attracted to. Show her that she’s not the only person in the world, and that there are others that want a piece of you. The idea of “scarcity” is that people value what they miss, what they can’t have right in front of them at a whim. I think men especially understand this—we sometimes don’t understand what we had until it’s gone. My number one answer to getting out of the friend zone: Move On. If a girl doesn’t like you, then move on. Sticking around trying to be something you’re not to impress her, coming off as passive or too aggressive, or going out of your way for her when she isn’t reciprocating is rarely going to win you a woman. Will moving on from her win her? Maybe not. This isn’t a game of manipulation. You aren’t “moving on” to make yourself more attractive and get her attention. You’re moving on for you. If she comes around and shows more interest once you become less available, fantastic. But if that happens, don’t be over-enthused about it. Don’t suddenly snap back into your super-interested state. The intrigue will be lost immediately. Both people need to work at relationships, let her put herself out there a bit, then meet her in the middle. I must qualify this: don’t play the “my way or the highway” game. If they truly are a great friend, I’m not encouraging you to be a jerk and kick people to the curb. Don’t burn your bridges man. There’s a respectful way to move on from a person you have feelings for that isn’t reciprocating them. Don’t “move on” without giving it a shot. Be bold. Don’t be a afraid. Tell her how you feel, what you want, and ask her out. If you get turned down, then move on. 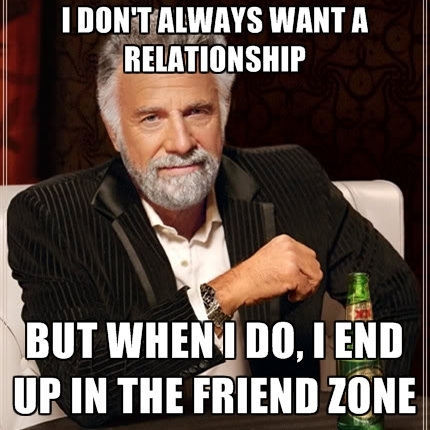 Oh boy, if the ‘Most interesting man in the world’ ends up in the friend zone what chance do we mere mortals have? haha! Great article! I think many guys who end up in the “friend zone” have most of the qualities the girl is looking for except confidence, and that’s a killer. That’s why “bad boy” types make such a good impression but never last. It’s true–that bad boy illusive “confidence” is something “good guys” think that can’t, or don’t, have. But they can walk in confidence, and although they won’t get every girl, they can definitely snag a good one.